People, this is ‘Merica. And after an extensive Google search I stand disappointed. Let me catch you up… A group of about 8-10 of my friends were planning to celebrate our nation’s independence soaking up the rays and sailing the high seas of Lake Lanier here in North Georgia. Unfortunately, our boat plans fell through last night. ugh. This morning, I had a spring in my step, couldn’t let nautical disappointment drag me down. Of course, my roommates were still sleeping when I woke up, so I spent the first two hours of my holiday waiting around like a kid on Christmas morning. Come on, people….how much longer can you sleep???? When they awoke from their slumber, I greeted them with patriotic devotion and ecstasy. And that means I made them listen to songs like the National Anthem, Lee Greenwood’s God Bless the USA, and, my favorite, Ray Charles’ rendition of America the Beautiful while I tried to keep myself from dancing around the apartment waving an imaginary flag. A great way to salute our great nation, no? We’re having a cookout tonight followed by fireworks. That’s a check check for American spirit. But we were trying to think of other American things to do to commemorate this special day. Clearly, I asked the all-knowing Google. Shoot man. I came out with nada. There are tons of lists like “Top 10 Things to do in New York on July 4th” or “How To Keep God in our Government”… great. What can I do today, not in NYC or on Capitol Hill? So, I decided to make my own list for all of you out there sharing in my frustration. Go to a parade- a real one where they ride horses, throw those peanut butter candies, and sound a cannon and the beginning and end of it. Consider prairie skirts as an added bonus. 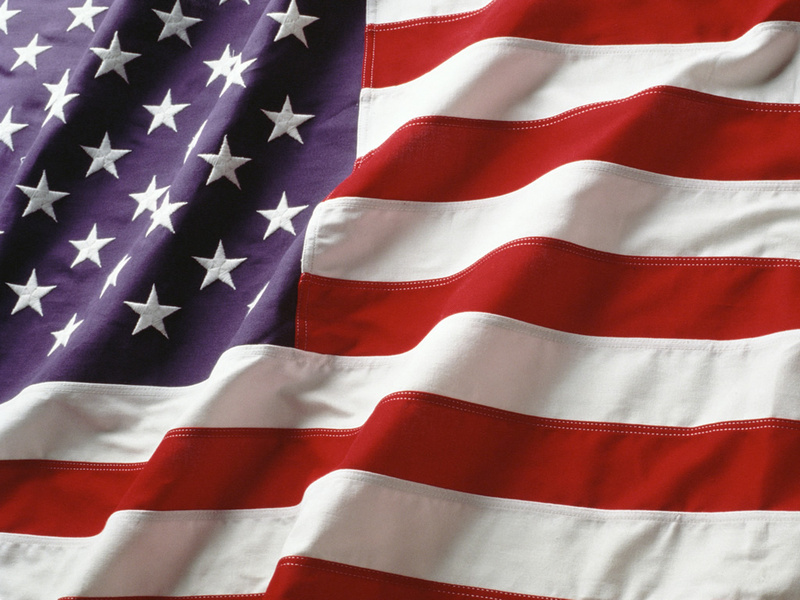 Sing patriotic songs at the top of your lungs (see playlist above). Ya know, the best way to spread Christmas cheer is singing loud for all to hear? Well that’s how I feel about Independence Day, too. 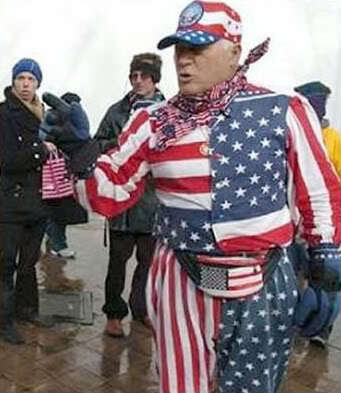 Wear an obnoxious amount of red, white, and blue. Bonus points if it’s in denim form. I’m going to get some temporary tattoos of American flags, stars, and bald eagles as soon as I finish writing this blog. Seriously. Drink beer. American beer. None of that Dutch stuff today. Be in the sunshine (preferably near the water). What better souvenir from your holiday fun than showing off your lobster-colored sunburn to your co-workers tomorrow. Change your Facebook profile picture to some political/religious statement with those really professional-looking patriotic graphics. When’s a better time to convert all those liberal heathens than on July 4th? I think you get an extra jewel in your crown for that. Watch fireworks with people you love. I reeeeaaaallllyy love fireworks. I ooh and ahhh and declare each one as my favorite only to be blown away by the next one bursting against the night sky. I get a little emotional at this part of the day. I blame Chris Broderick, Denzel Washington, and Morgan Freeman. Everywhere you go today repeat this over and over: ‘Merica. Gets em every time. Now go, celebrate! Eat, drink, and be merry! Thank God he done shed his grace on us and thanks to all who made America’s freedom a reality! glad we get to “god bless ‘merica” together.